We can also offer limited space for your exhibition stand. 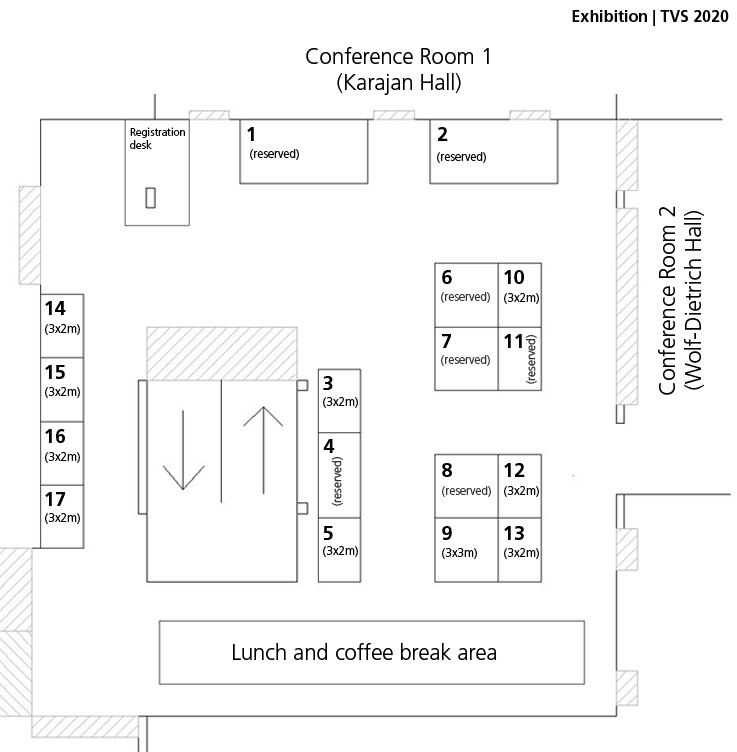 The exhibition area is in front of the entrance to the symposium area (Karajan Hall). * Please note that the price includes the participation fee for one person only. All exhibitors have to be registered. The rate also includes white walls, one white counter, two spotlights, one table and three chairs. Please note that the Vibration Association will not be held liable for any damages to or loss of exhibition materials or the exhibition stand. 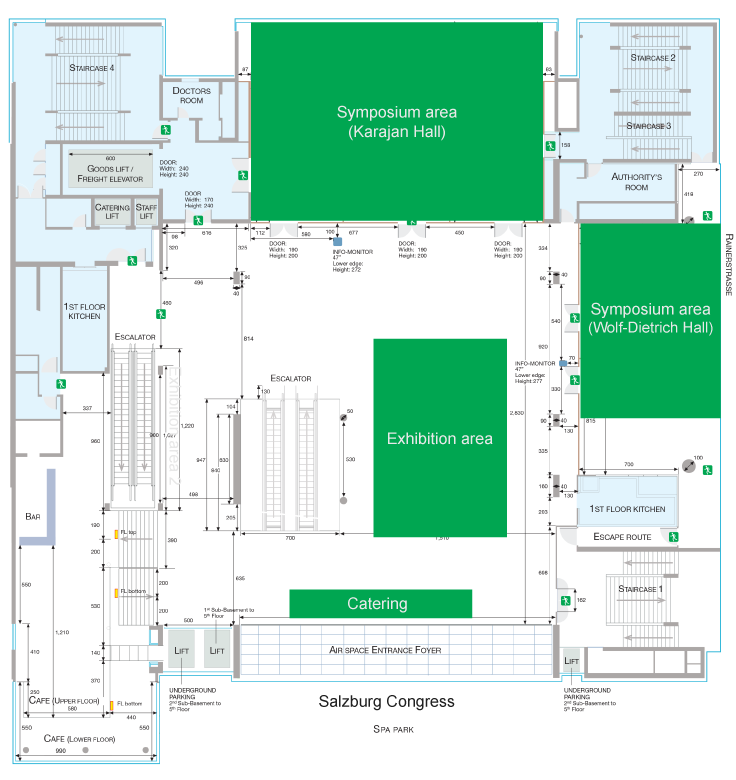 The Official Safety Regulations of Salzburg Congress apply.